The first 100 guests will receive a complimentary one month membership to South Beach's most fabulous new Health Club (a $400 value) compliments of David Barton Gym. This weekly cocktail party meets at a different venue every Tuesday starting at 9pm. 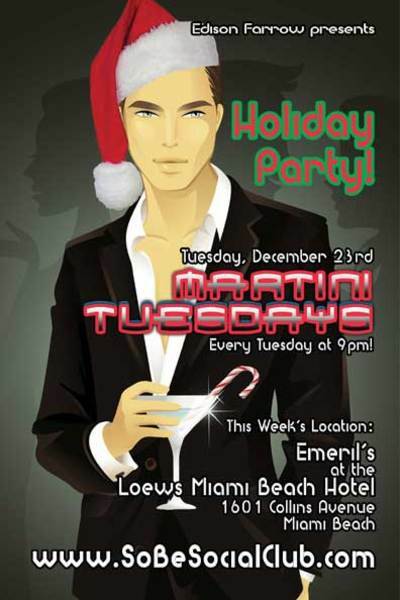 Seven years strong, Martini Tuesdays is a night where gay Miami professionals meet South Beach hipsters. There is never a cover charge.